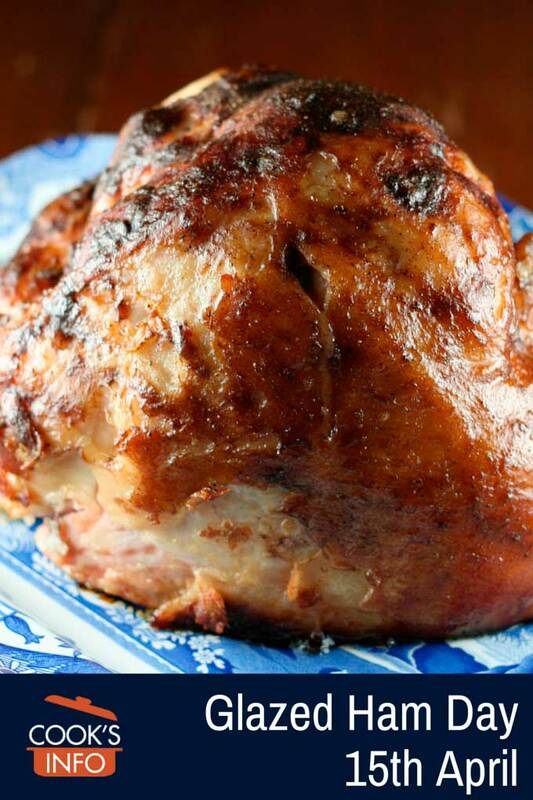 The 15th of April is Glazed Ham Day. You usually only get to glaze a ham on high holidays such as Christmas and Easter, when the pressure is on: there’s 19 other things to juggle in the kitchen, but everyone is going to be inspecting the glazed ham the minute it hits the table. Today allows you to glaze a ham in peace, and to enjoy taking your time doing it, without having to resort to swigs of kitchen gin just to get you through the stress. Try a new glaze, or try one from the past that you still know you can get right, if only you had the time to focus. Plan just two simple veggies to go with it all, so that your glaze will really be the star of the day. Over dinner, you can also raise a birthday toast to the following people born on this day: Leonardo da Vinci (born 1452), Elizabeth Montgomery (Bewitched, born 1933), and Emma Thompson (the actress, born 1959.) Or, if despite all the time and lack of pressure, the glazed ham still goes pear-shaped, then perhaps a more sombre toast might be in order: this was the day, in 1912, that the Titanic went under.